Hi I'm Kakeya, founder and CEO of Scuti. In this blog, I'd like to inform to you the reason why I established this company, what we are doing and what we aim in the future. 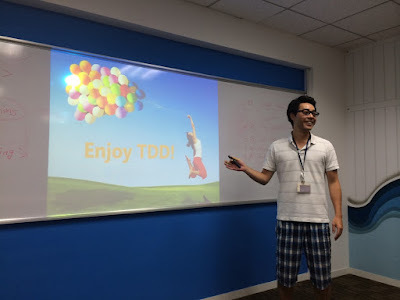 If you could imagine how our company is through this blog, it would be glad for me. For good team work, in our company, any new members must give us a presentation to introduce themselves when they join our company. So let me introduce myself first. After graduated, I joined Canon and I was in charge of designing and developing electric & electronic circuit, developing firmware of interchangeable lens of Single Lens Reflex camera. Then Joined Septeni and was in charge of playing manager for Ad-Tech products. In charge of GD of Septeni Technology. I'm CEO of Scuti. CEO stands for Chief Everything Officer! I want to develop very big and famous application for SEA area through Scuti. I want to contribute to Vietnamese IT industry itself more through Scuti. I want to contribute to the next generation of startups as like an Angel investor. I want to make all members happy to provide nice working environment. Why I became the founder? I'm often asked that but I don't know why. I originally wanted to organize my team and wanted to produce great services by ourselves. I'd like to develop web services by ourselves which can change lives of SEA. I'd like to provide the environment for Vietnamese engineers to develop web services of our own. About No.1, SEA is blue ocean and growing up very quickly. I want to bet on this market. About No.2, Vietnamese engineers are excellent and have the potential. But they don't have good experience as engineers because they basically develop very small and easy modules as offshore development. What do we aim in the future through activities of Scuti? So we'd like to big and famous services with big impact to the society of SEA. 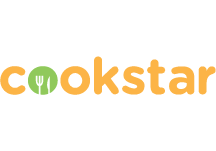 Now we're developing Cookstar as our service. Firstly we'd like to aim defacto-standard recipe share service in Vietnamese market. But this is just the first project for us and we'd like to launch more and more services from now on. I'd like to share fun and joy of business with Vietnamese business persons. I'd like to ask them you have ever been enthusiastic on business? you have ever made an effort up to your limit? I think only persons who can make effort, effort, effort, effort and effort up to their limit can feel fun and joy whatever results are. Especially Vietnamese software industry is mainly outsourcing (offshore). This service is sold with man-month. I think average price of one man-month in Vietnam (in 2016) is about $1500 - $3000. So the salary of an engineer NEVER exceed this level of price. If we have services of our own, we may be able to exceed this level of sales per person depending on our effort and activities. Then we can get higher salary than market. If we can produce really great products or services, I believe society will evaluate them, and evaluation will become money someday. Also, I'd like to make this company "the company producing entrepreneurs". In our company, any members require to be an entrepreneur. After lots of members make great performances in our company, I want them to "graduate" someday to establish a new company or start a startup. Then I wish they grow it up to bigger company than Scuti. Even if they graduate, they are our family anytime and I'd like to support them. If you sympathize my mission, let's work with us. In this blog, I wrote lots of my thought but I myself am still a baby of entrepreneur. Let's keep learning together. This is also the chance for you to work with great colleagues. You can apply for it from our application form. Bravo, you are brilliant leader. Oh men, you're a truly humble person, and you're funny too, our Chief Everything Officer, haha.